Our very first Twitter chat was a huge success! Many of us are still trying to come down from Cloud 9 from all of the beautiful and empowering things shared this past Friday night. 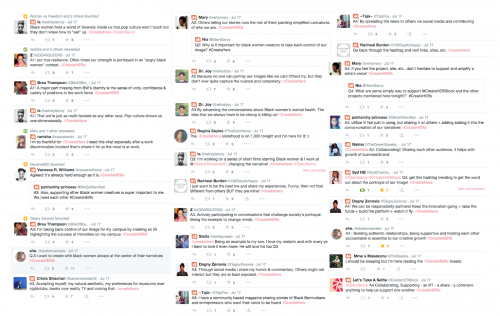 With a major thanks to our host (@glamsavvy) – this chat definitely left us with amazing gems. The topic centered around how Black women are taking more control in how we’re both received and portrayed. 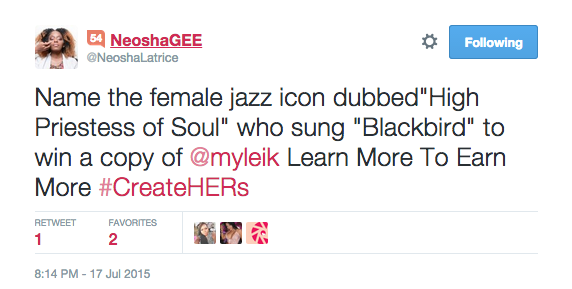 Owning our own image is something many women of color should want to do for themselves. 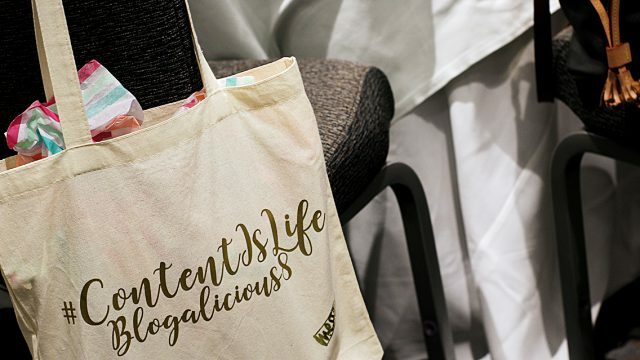 We had some pretty amazing ladies join us – from fellow women advocates to inventors, comic lovers and even single mom bloggers! Yasss! #TeamWinning, right?! After we gave the ladies a little time to introduce themselves, we opened up with our very first giveaway. Congrats again to (@BlkGirlManifest) for guessing Nina Simone! The questions were awesome! They kept us engaged and “in our feelings” in a great way. Nia did that! What are some of the major parts of black women’s identity missing from popular culture/discourse? 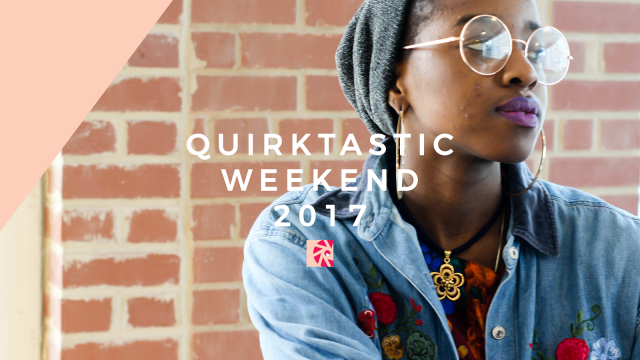 Why is it important for black women creators to take control of our image? (@NeoshaLatrice) brought us (@CreateHERStock) – What are each of us personally doing to take control of our image? What are some simple ways to support CreateHER Stock and the other projects mentioned here tonight? 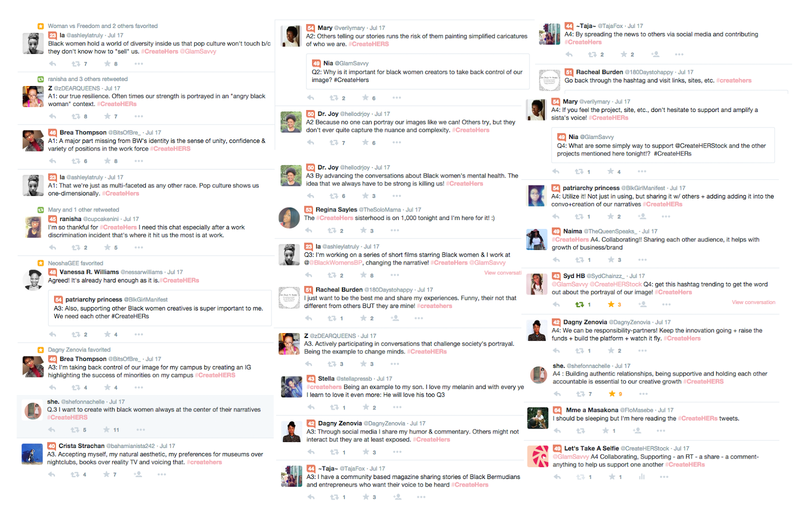 Here were some amazing responses. 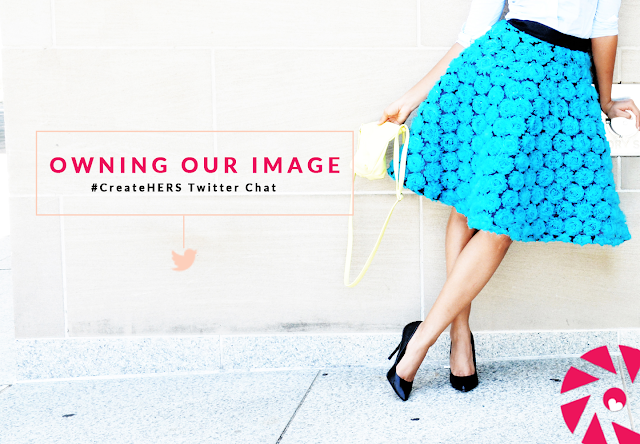 Definitely be sure to take to Twitter and check out the #CreateHERs hashtag for more. We had such heartfelt assessments to take heed to and these ladies brought the matches to light it up! Some highlights of our own that night included the only male blogger to hop on the chat (@ColdKnowledge) – lol, got to love it! 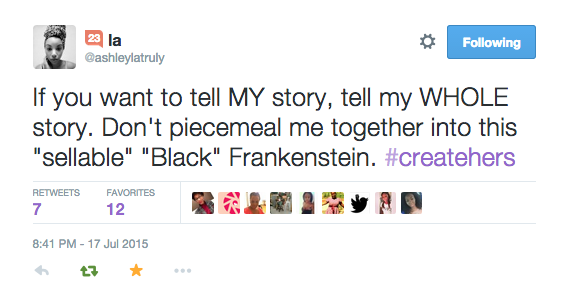 The epic tweet (@ashleylatruly) shared with us. A super cute video shared by (@Butterandbeats). LOVE! The first CreateHERs chat was everything and more! We are definitely looking forward to having many more! Want to be a host for one? Connect with us here. Previous post WHAT IS THE DEAL BEHIND CREATEHER STOCK LAUNCHING AT 420?